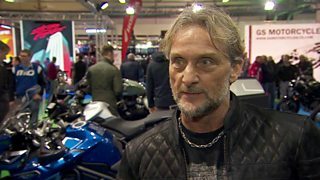 Four-time World Superbike champion Carl Fogarty backs Northern Ireland's Jonathan Rea to become the first rider ever to win the series in three consecutive seasons. Kawasaki rider Rea will begin the defence of his title at the traditional curtain-raiser at Phillip Island in Australia this weekend. "Johnny is the best rider Britain has got in any championship at the moment," said Rea on a recent visit to Belfast.